until she told me that this makes her dizzy and disappeared! So I remained alone in front of those three options and I think I will choose the third one. 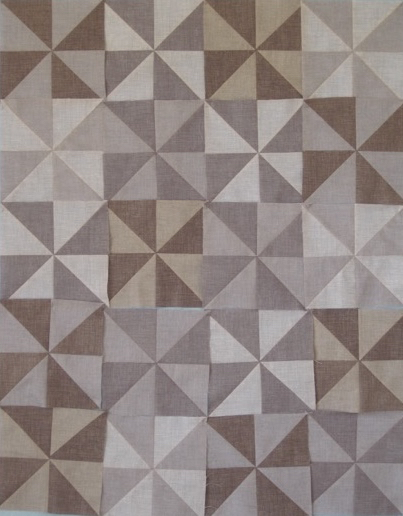 Next post I will write the tutorial of this quilt top for beginners who want to make a very quick and easy baby quilt. LOL shades of grey... like the book/movie? Very interesting color choice, what size are the squares? Yes indeed, we are in the trend... hahaha! I will give all the measurements in my next post. Soft and sophisticated for a modern baby. Whatever arrangement you choose will be beautiful. 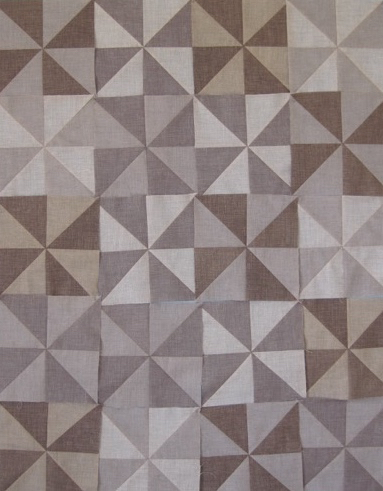 I LOVE this quilt....and now will add it to my list. I like all three layouts! Love the grays, just classic! I'm loving all the greys I'm seeing for babies lately! I think whichever pulls you more will be great and you should just go for it! 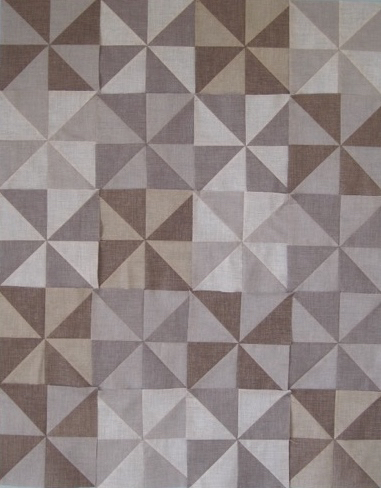 This will be a beautiful baby quilt for your little grandson! All lovely arrangements. I'm sure it will suit the parents too! Très joli, j'aime ces formes simples qui se multiplient à l'infini! Very nice baby quilt so sweet and relaxing for the eyes...Little Marcell will enjoy it surely..The colors and the forms are timeless...Bravo Christine !! Those pinwheels in shades of grey are so pleasing to the eye! This is going to be a really sweet baby quilt, Christine. Can't wait to see it! LOL, that sounds like something my daughter would do Christine. All the arrangements look wonderful! All great arrangements......#1 appeals to me the most.....great job!! I can drive myself a little nutty laying out blocks too... the good news is that once the blocks are sewn together I don't give the layout another thought! Sew on!